The Charles City Comet wrestling team was in Waukon Saturday competing in the Northeast Iowa Conference wrestling tournament and you heard it here on KCHA. The Comet grapplers finished in fifth place as a team as Waverly-Shell Rock for the 13th year in a row claimed the team title. Dylan Koresh at 145 pounds and A.J. Maloy at 220 each placed second in the NEIC. Luke Hillegas at 285 came in third and Carter Proffitt (126), Nate Lasher (132), Alex Kohler (182) and Sam Niichel (195) each got 4th place. The Comet wrestling team will now focus their attention on the Sectional Tournament which will be held in Charles City this Saturday. In a couple of games heard right here on KCHA on Friday night, the Charles City Comet boys and girls basketball teams hosted Oelwein in a Northeast Iowa Conference double header. In the boys game, Jackson Molstead had 23 points and Noah Schlader had 17 to lead the Comets to a 63-42 win. The Charles City boys are now 10-4 overall this season and they move to 5-3 in the NEIC. They will play Oelwein again tomorrow night on the road. In the girls game, the Comet offense came out hot as they held an 18-17 lead after one quarter. The Husky girls will slow Charles City’s girls down though and Oelwein came away with a 56-37 win. 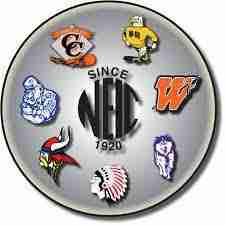 The Comet girls are now 1-14 overall and 1-8 in the NEIC. They will host Waterloo East tomorrow night. The Charles City Comet girls and boys bowling teams hosted Forest City at the Comet Bowl on Friday. Both the girls and the boys set school records for their total pin count. Kaleb Ross led the Comet boys as he finished with games of 246 and 254 for a 500 series, Drew Mitchell had a 444, and as a team, the Comets averaged 213 in their five baker games and ended up with a total pin count of 3208. For the girls Baili Girkin led the way as she had a 199 and a 256 for a 455, Macy Ross had a 443 and the Comet girls averaged 206 in their five baker games and ended up with a total score of 3037. Both the Comet boys and girls bowlers are 6-1 this season and they will next be in action tomorrow at Thunder Lanes as they will compete against Sumner-Fredericksburg. The Nashua-Plainfield, Osage, Rockford, North Butler, and Saint Ansgar wrestling teams were in Forest City on Saturday competing in the Top of Iowa Conference tournament. The Green Devils finished in second place as a team, Saint Ansgar was sixth, North Butler was seventh, Nashua was ninth and Rockford was tenth. Top of Iowa Conference champions from our area were, Devin Steele of Saint Ansgar at 126, Tristan Brase of Nashua-Plainfield at 132, Derek Fox of Osage at 152, Dalton Nelson of North Butler at 160, Brock Jennings of Osage at 170, and Caleb Ring of Osage at 220. All five teams will compete at Sectionals this Saturday. The Nashua-Plainfield girls and boys basketball teams hosted Osage on Friday night in a Top of Iowa Conference double header. In the girls game, Osage dominated from start to finish in route to a 82-39 win. Gabby Schwarting had 25 points to lead the Green Devils and Melanie Bye and Maddie Johnson each finished with 14 points. Brittney Holthaus and Sierra Fisher each had 11 points for the Huskies. The Osage girls improved to 12-3 overall with the win and they are now 9-2 in the conference. The Green Devil girls will host North Butler tonight. The Nashua girls were also beaten on Saturday by Garner-Hayfield-Ventura by a final score of 61-54. The Husky girls are 2-15 overall this season and 1-12 in conference play. They will be in action again tonight at home against Clarksville. In the Osage vs. Nashua boys game, the Green Devils were able to bounce back from their first loss of the season as they defeated the Husky boys 59-37. Lucas Schwamman had 11 points to lead Osage while Dayton Hansen led Nashua’s boys with 10 points. The Osage boys improve to 15-1 overall and are 11-0 in the conference and will play at West Fork tomorrow night. The Nashua boys were then defeated on Saturday by Garner-Hayfield-Ventura by a final score of 76-23 as they fall to 5-11 overall this season and they have a conference record of 4-9. The Husky boys will host Clarksville tonight. The Rockford Warrior boys basketball team was able to get two wins over the weekend as they beat Central Springs 72-22 in Top of Iowa Conference action on Friday and then beat Eagle Grove 65-50 on Saturday in non-conference play. The two wins gives the Warrior boys an overall record of 12-5 and they are now 8-4 in the conference. The Rockford boys will return to action tonight at Mason City Newman. The Rockford Warrior girls basketball team went 1-1 over the weekend as they were defeated in Top of Iowa Conference play against Central Springs on Friday 41-37, but then bounced back in non-conference play and beat Eagle Grove 71-32 on Saturday. The Warrior girls are now 15-2 overall this season and they are 10-2 in the conference. The Rockford girls will be at Mason City Newman tonight. The Saint Ansgar Saints girls basketball team was defeated on Friday night in Top of Iowa Conference play at West Fork 53-29. The Saints girls are now 1-13 overall this season and they drop to 0-12 in the conference. They will play again tonight at home against Riceville. The Saint Ansgar Saints boys basketball team also played against West Fork on the road on Friday night. The Saints were tied with the War-Hawks heading into the fourth quarter, but ended up losing the game 52-46 to fall to 8-6 overall and 8-4 in the conference. The Saint Ansgar boys will be at home tonight for a non-conference match-up with Riceville.